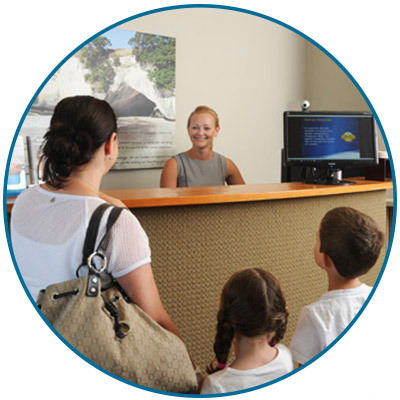 At The Chiropractice, we pride ourselves on delivering top-notch customer service. We’re ready to greet you the moment you walk in, focusing solely on giving you a fantastic healing experience. We look forward to meeting you! Our chiropractic assistant will seat you in our education area, allowing you to relax for a moment before your Chiropractor meets you. They’ll talk to you about what’s happening in your life and what we may be able to help you with. We’ll have you fill out a health questionnaire, then begin on a consultation, discussing your history and current concerns. Your Chiropractor will detail their findings to you, explaining the cause of your concerns and how chiropractic care may be able to help you. Costs will be discussed, as well as the duration of care. We will usually adjust you on the day. If more time is required to analyse your case, we may ask you to return later or the following day for your chiropractic adjustment. Subsequent appointments will take 10-15 minutes. You’ll be escorted to our adjustorium by a chiropractic assistant. You’ll lie facedown on the table, allowing yourself to relax and letting the day’s stresses melt away before your adjustment. Todd will use his hands to check your reflexes, determining the site of any vertebral subluxation in your spine. Our gentle adjustments involve the use of a noninvasive instrument. During the adjustment, you may notice a warm sensation, changes in your breathing or that parts of your body may spontaneously move. Patients at our practice feel that their adjustments are a pleasant experience. Experience excellent healthcare, naturally. Contact us today to find out how we may be able to help you!